Chris Carothers (RPI) Check out the videos below! 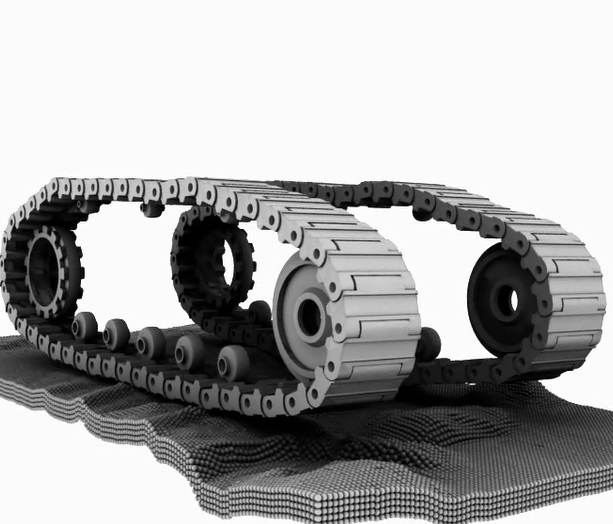 A key need in robotics is fast, accurate prediction of the result of manipulator actions involving intermittent contact (e.g., legged locomotion over rough terrain, grasp acquisition, multi-robot manipulation, and assembly). As the accuracy and speed of prediction increase, so will the robustness of open-loop manipulation plans that can be generated in a reasonable amount of time. In addition, for simple contact tasks for which super-real-time simulation is possible, model-based reactive control techniques become more attractive. A workshop report will be written and posted on this web page. In addition, if the recommendation of the workshop participants is to move ahead with the development of a simulation platform, then the organizers will seek funding to do so. A potential platform could be composed of a database of experiments with a suite of tools to manage and analyze the data, including experimental design, simulation, calibration, filtering, estimation, visualization, and optimization. Versions of the tool would be developed for various modern multi-threaded computing systems and RPI's 75 Tflop supercomputer. There would also be a technical support staff available 24/7/365. Simulations of grasping problems like the one shown on the right can be quite difficult to perform quickly and accurately. The main problems are related to closed kinematic loops, stiff joint controllers, and obtaining correct contact information. The first two problems drive the simulation time step down to maintain integrator stability, but the last problem can cause integrator instability at essentially any time step. The video shown was obtained using the dVC3d physics engine and a modified version of Bullet collision detection inside Blender. 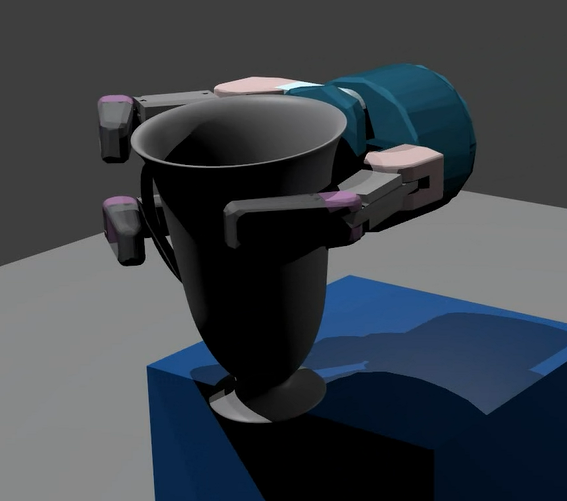 The chalice and hand models have a total of about 5000 polygons. With time-steps of about 0.01 second, the simulation runs in real time on a core-i7 PC. Simulations like the one of the double-track on the right are difficult for several reasons. First, the size of the time-stepping subproblems grows linearly with the number of rocks. Second, vehicle components can have complex shapes, leading to a difficult collision detection problem that must be solved every time-step. Finally, the large differences in inertia properties between vehicle components and terrain particles can lead to poor accuracy. This simulation was performed in the Chrono::Engine physics engine using GPU computing for the collision detection and solution of the dynamics problem at each time step. With a time step of 0.005 second and 284,715 terrain particles, this 12 second long simulation took 18.5 hours on a machine with an NVIDIA 8800GTX GPU.